London Jewelers, known for selling high-end jewelry and gifts in mostly tony locales of Long Island, has long thought about opening a store in New York City, where some of its clientele lives. A year ago, the almost 90-year-old family business finally found the right spot: at the retail complex known as Westfield World Trade Center, now coming into view amid the soaring arches and polished marble of the new transit hub downtown. “We feel that the Westfield project will be the epicenter and people will be flocking there in droves,” said Candy Udell, the company’s president. London Jewelers is among the wide mix of businesses coming to the World Trade Center’s redeveloped retail space with high expectations. Across the emerging retail landscape downtown, Westfield World Trade Center is positioned at the geographic center. To the west are recently opened luxury shops, restaurants and food stores of Brookfield Place. East of the site: stores along the Broadway corridor and Howard Hughes Corp. ’s redevelopment of the South Street Seaport area. Westfield, naturally, contends that it has the best location. “When you look at the real estate, where people go, how they get around that part of town, we’ve got the best spot in the place, because we are at the right port of entry,” said Peter Lowy, co-chief executive of Westfield Corp. , the developer of the retail portion of the World Trade Center. 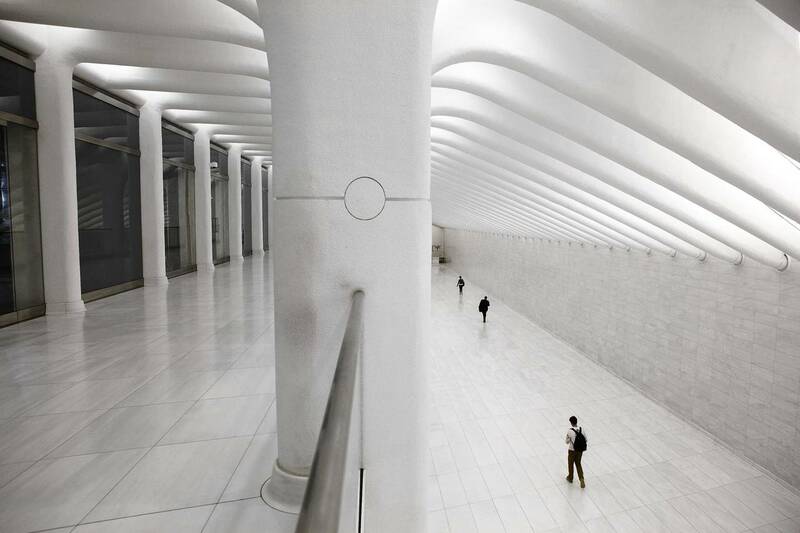 The dramatic architecture of the Oculus, the towering central structure that dominates the transportation hub, is also integral to Westfield’s allure. Natural light blasts through the ribs of the Oculus, designed by Spanish architect Santiago Calatrava, and below to where workers are laying marble floor segments by hand. Bookending the 30,000-square-foot pavilion are platforms offering perches to view the vast interior. Already open to the public is the white-marbled walkway of hub’s West Gallery, which leads to a PATH station. Two levels of shops line the South Gallery, creating an underground passageway linking Liberty and Church streets and more retail in 4 World Trade Center, which will house Eataly’s 40,000-square-foot market and restaurant. 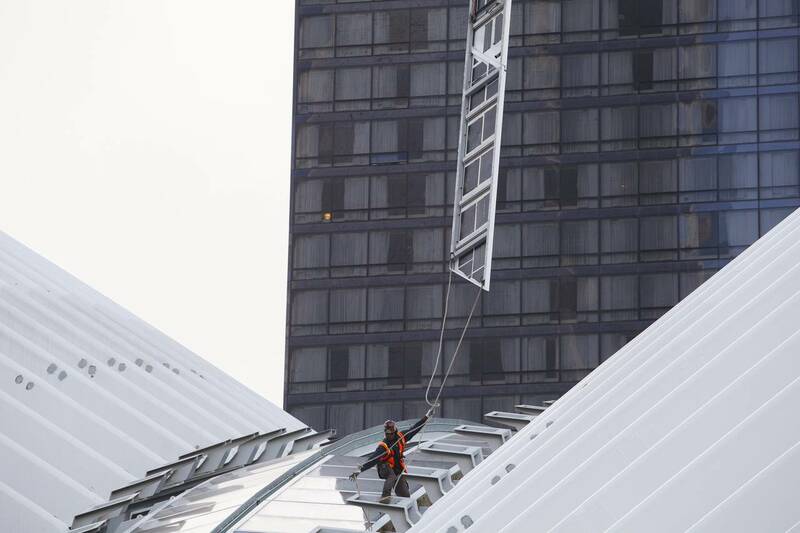 Above ground, pedestrians will peer into the Oculus from a 6,000-square-foot plaza just north of the building. The growing ranks of office workers and neighborhood residents, along with the constant river of tourists, was a draw for many retailers planning on opening stores. Susie McCabe, senior vice president of global retail for athletic clothing maker Under Armour Inc., said Westfield’s roster of “premium” domestic and international merchants also offers an enticing environment. Other brands in the mix: Longines; Michael Kors; and Vince Camuto. London Jewelers will have a 2,500-square-foot store and an 800-square-foot venue for a single jewelry brand in the Oculus near an Apple store, Ms. Udell said. “In Westfield, we will be reaching out to audiences we don’t normally get,” said Mark Udell, chief executive of London Jewelers. Because the downtown area is distinct from the city’s other retail markets, merchants with other New York City locations run less risk of cannibalizing sales from these stores when they open at the World Trade Center, said Chase Welles, executive vice president at real-estate-services firm SCG Retail. And developers of other downtown retail projects view their developments and Westfield World Trade Center as complementary. More shops as well as a Saks Fifth Avenue department store will open at Brookfield Place next year. “I think of 2016 as a very ceremonial year as far as putting lower Manhattan on the map,” said Dennis Friedrich, chief executive of Brookfield Property Partners global office division. For cosmetics company Sephora, the decision to take space at Westfield World Trade Center also is a sentimental one. The company had been in the old trade center retail space since 1999 when it was destroyed in the terror attacks of Sept. 11, 2001.